In this guide we are going to show you different techniques to provide incentives to your customers to pay on time, and even pay early. You can provide customers incentives to pay you on time with early payment discounts and late fees. We are going to walk you through setting up and using each feature. Early payment discounts provide your customer with an incentive to pay well before an invoice is due. For example, a common early payment discount that businesses offer is a 1% discount if a customer pays within 10 days. This can be useful for businesses that benefit from faster cash flow or to decrease the risk of not being paid on a large invoice amount. Invoiced can handle two different kinds of early payment discounts. The first kind is early discount payment terms. These are in the format 2% 10 NET 30 (invoice due in 30 days with a 2% discount if paying in 10 days). The second kind of early discount is an expiring discount. 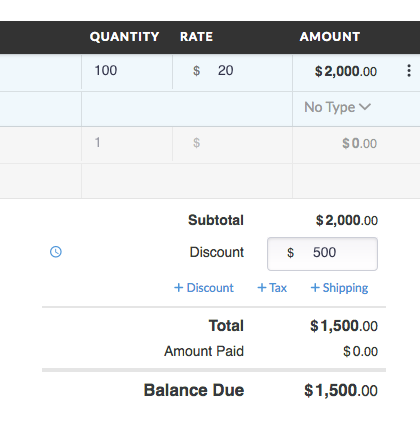 The way these work is when you've added a discount to an invoice you can set a date after which that discount expires. 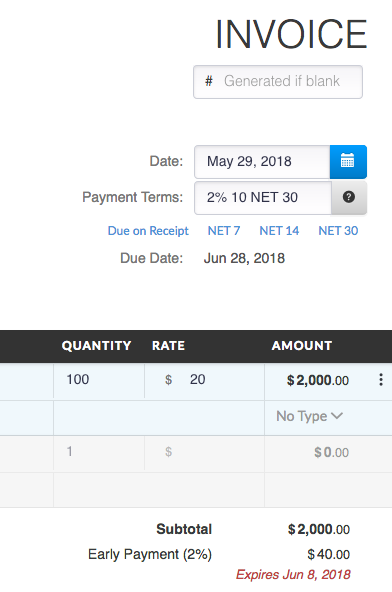 Early payment discount terms can be used by adding X% Y NET D payment terms to your invoice. The system will calculate and add the discount to the invoice for you. If the customer views and pays the invoice by the early discount deadline then they will only owe the discounted amount. If a customer pays after the discount expiration date then they will be asked to pay the full amount. 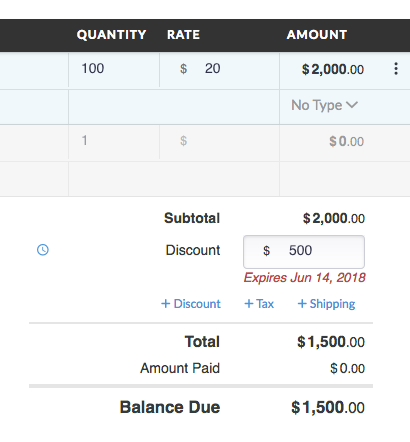 When you have added a discount to an invoice you have the option to set an expiration date. 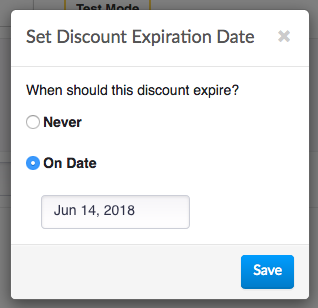 After you have added a discount then you can click on the clock icon to convert it into an expiring discount. Late fees can be used to provide an incentive for customers to not pay you late, less they incur a penalty. Generally late fees are not used for the revenue they produce, but as a situation your customer would want to avoid. In some cases late fees might be useful as a bargaining chip with a past due customer. In exchange for an immediate payment you might agree to waive the late fee. 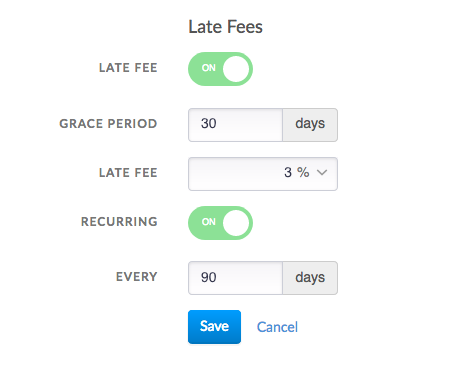 You can configure Invoiced to assess late fees on your invoices for you automatically. Click Change on the Late Fees section. Turn on late fees and enter in the parameters on your late fees. The grace period will assess a late fee X days after the invoice is past due. You can assess a percent or flat amount for a late fee. The recurring setting will allow you to assess the same late fee repeatedly every Y days. Click Save when you are done. Late fees will be assessed on your past due invoices automatically as they age beyond the past due grace period. Any assessed late fees will be added as a separate line item with a type equal to late_fee. If you wish to remove the late fee for a particular invoice then you can edit the invoice and remove the line item. If you have a recurring percentage late fee, the calculation used is compounding. A flat amount late fee will be non-compounding because it is not a percentage.